2011/05, Mile 80.5, Prov. Hwy. No.3 – looking W. up Pembina escarpment out of Morden. 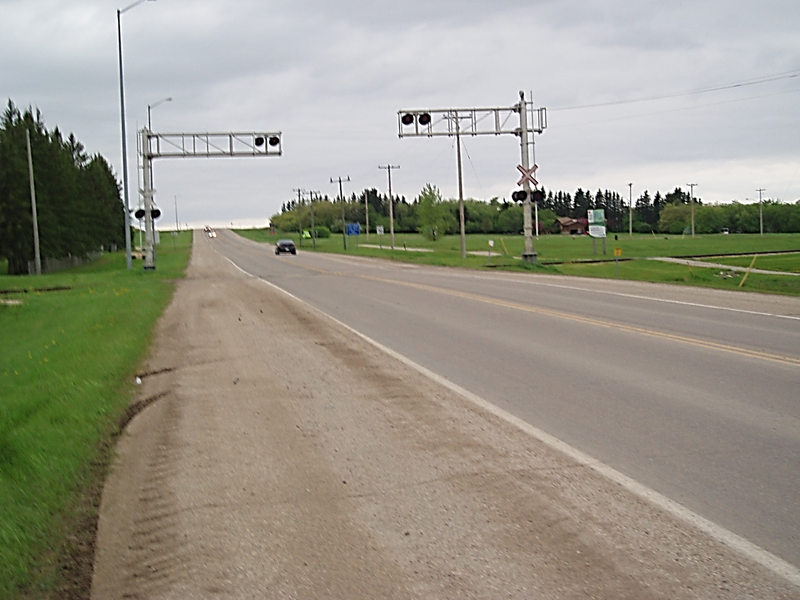 Former CPR, now Boundary Trail Railway Company (BTRC) cantilever traffic signals. Photo – N.F. © Text and Photos exclusive copyright of N. Froese, Author. This entry was posted in Uncategorized on 2014-12-22 by nfroese.